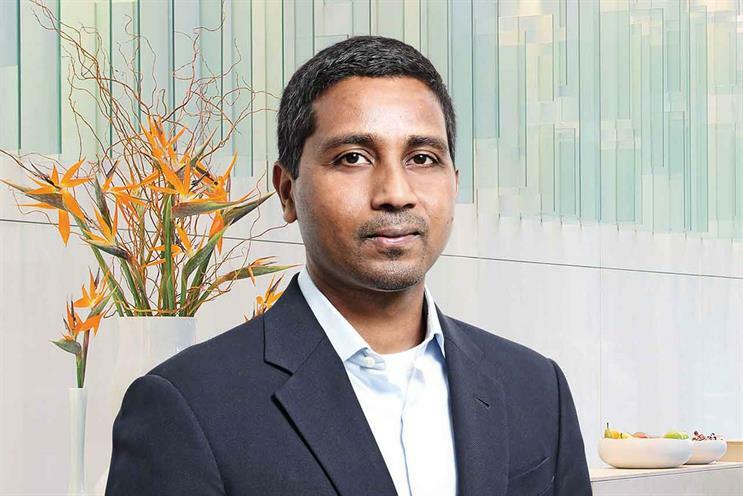 As tech disrupts industry-wide, brands must respond with alacrity, says Publicis.Sapient's Nigel Vaz. Transformation has become one of the most misused words in business, like many before it, being used to describe any­thing from a new technology applied in an organisation to a new marketing campaign. Moreover, a disruptor is anyone who looks to create value for consumers and for themselves by reimagining the status quo – taking on arcane regulations, customs or market inefficiencies. Today, many of the so-called constants are changing. If you are a clothing retailer, the "location, location, location" focus may not be delivering the returns you expected. Fashion trends are changing significantly faster than they once did, and your design team’s ability to stay on-trend is affected by your ability to respond at speed and deliver stock to market in a timely fashion. Or perhaps you are a retail bank whose branch network and substantial customer base represent rich pickings for a variety of fintech start-ups – all focused on a particular aspect of what you do, and each picking off a particular source of stickiness, revenue and margin. In response, the board and chief executive are starting to ask for solutions before it goes from an annoyance to an existential threat. In so many businesses, things that were marginal and unlikely are now the new normal. The basis of competition and differentiation are changing, and so too are customer preferences, the role of technology, regulation and cost drivers. The application of technology to consumers’ lives, when viewed in the isolation of a specific task, is fairly prosaic. The advent of contactless cards and mobile payments makes the shopping experience more convenient, but it’s not frictionless when you’re stuck in a supermarket queue waiting to use them. The replication of the Amazon Go experience in the physical environment, to purchase without ever going to a checkout, alters our interactions with retailers – and so the effect of technology becomes more profound. A washing machine that chooses the right detergent for your needs on the basis of its ingredients and the specific clothes being cleaned, along with other rational parameters you may have specified, such as cost, the product specs validated by the device’s API and the retailer it chooses to order from, potentially entirely alters our interactions with a whole category of brands by relegating them to replen­ishment brand status. In turn, brands with which we have a higher emotional engagement benefit from a greater share of our attention. As marketers, it is critical that we evaluate and anticipate the impact technolo­gical change has on consumer needs and expectations. We must seek to understand how these advances will transform the way people communicate, interact, travel, spend their work and leisure time and make purchasing decisions. In the transformative age of Industry 4.0, underpinned by connectivity, the way in which businesses and brands meet these new consumer truths must also change fundamentally. How we make decisions is changing: demand-sensing is helping organisations to make better and more responsive decisions through observed demand signals. How we market is changing: Spotify and Apple Music show that mass personalisation is becoming reality. They can understand the correlation between songs that get a person’s heart rate to a particular level, and when that music is chosen by us – perhaps in the morning or when we are on the move, as opposed to when we are relaxing in the evening. They can match that in the patterns they observe in a million other people worldwide, irrespective of gender, race or location. How we sell is changing, with the physical environment increasingly augmented by digital for an improved customer experience. And how we use is changing, with a new generation of smart products: the Kérastase Hair Coach hairbrush, unveiled at CES, incorporates sensors to collect data as you brush your hair; an app that assesses the data suggests a personalised care routine. Much has been written about the rapid success of businesses such as Uber and Airbnb, which rode in on the wave of mobility, unencumbered by legacy cost. And while it is true that they have disrupted entire sectors, all the while raising consumers’ experience expectations across a host of unrelated industry categories, there is a lesson that marketers of established brands can take from them. Uber shows the value that can be realised when an organisation takes a longstanding consumer need – in this case the simple requirement of getting from point A to point B – and reshapes the experience by reimagining how it meets that need through the leveraging of technology. Through that lens, a legacy organisation can make the prosaic something more profound. In the automotive sector, how will the arrival of self-driving cars change the car-buyer’s mindset, from driving to being driven? What opportunity does that shift represent, as historic purchasing emphasis based on the driving experience rebalances toward the vehicle’s connected information and entertainment services? What will be the effect on adjacent sectors, such as motor insurance, when driver becomes passenger and premiums are no longer affected by age or gender? Being able to follow and respond with agility to these underlying technological forces of change is key. Marketers who are able to embrace change, help their companies reimagine their purpose in consumers’ lives and influence the organisation and structure to deliver and stay agile will generate the greatest value – and gain the greatest recognition. The world has experienced a surprising level of political upheaval and change in the past 12 months. These events demonstrate people’s capability to make a profound impact on the world. When it comes to brand experiences, consumers also hold such power, and are now in control of how and when they interact with a brand. It is more important than ever for marketers to take time to reflect on the shift in consumer needs and desires. Thinking about how we can transform, we can cater to these specific needs and create an experience that disrupts the landscape as we know it. Only then can we really build connections with those that matter most: our customers.